It was good to hear that Jack Clarke was released from hospital and although he is still having more tests this week, I wish him a speedy recovery and look forward to seeing him back on the pitch. Personally, my days of multi-tasking and trying to be Superwoman came to an abrupt end yesterday as the soap opera my family seems to have, has taken its toll on me. Things will happen that we’ve to deal with and although has its challenges, it means I’ve had to take a step back. Thanks to the fans who helped me tonight and despite my tears, I am grateful for their time and support which is appreciated. Elland Road had another sold out sign tonight showing tremendous support from Leeds fans, with the only empty seats being in the away end. As I waited for my sister Erica to meet me at Billy’s statue, it was nice to chat to a number of fans and take their photos. My granddaughter Hannah and daughter Danielle both went into the ground early whilst I had a quick visit to the Peacock before going into the ground. As the teams came out there was a great atmosphere around the stands. Everyone stood as one to give a minute’s applause to Gordon Banks who was in goal when England won the World Cup in 1966, who has died. The team: Casilla, Jansson (celebrating his 28th birthday today), Ayling (making his 100th appearance for the club), Cooper, Hernandez, Klich, Roofe, Bamford, Alioski, Harrison and Phillips. Subs: Roberts for Bamford (71), Shackleton for Klich (77) and Davis for Hernandez (90+1). 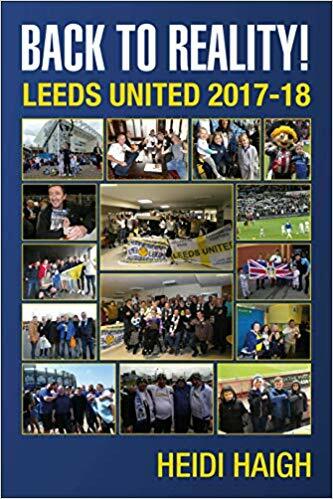 Leeds won the game 2-1 with goals by Jansson (20) and Harrison (34). Attendance was 34,044 with approx. 400 Swansea fans. The game started off with Leeds seeing plenty of the ball and having a couple of shots off target. As the game went on we looked to settle down more and we took the lead in the 20th minute after a corner. The ball came back in to the box and Jansson put the ball into the net in front of the South Stand which saw great celebrations all around the ground. Even though Swansea kept running at us and always looked dangerous, Leeds were always still looking to attack. Today it looked like all the players had upped their game which was good to see. There were always going to be some passes that went astray, but everyone was fighting to get the ball with players backing each other up. Swansea came close to scoring with a free kick before Leeds went further in front with a goal from Harrison to give us some breathing space. The lad next to me was giving an update regarding Preston taking a two goal lead against Norwich who themselves had missed a penalty. As I’d said to someone before the game we need to concentrate on us as anyone can beat anyone in this division. We came close to a third goal before the break but went in at half time in the lead. Swansea came out for the second half looking to get back into the game and for me they never gave up and always looked dangerous. We were still seeing plenty of the ball, attacking and playing some really good football but couldn’t get that third goal despite coming close. We should have got a penalty when Bamford was wrestled to the ground but none was given, surprise, surprise. Casilla was called upon to make a couple of important saves but was sent the wrong way when Swansea were awarded a penalty in the final minutes of the half. I said that was not a good place to give away a free kick and the lad in front of me turned round and said it’s a penalty! Despite Swansea being given a lifeline, Leeds battled and the crowd were still urging them on until the final whistle blew. What a relief to realise we’d got the points and gone back to the top of the league as Norwich lost their game at Preston. Due to QPR being changed it means we have a free Saturday this week which is a shame. The one thing it will do before our next game against Bolton at Elland Road on 23rd February, is give our players time to get over any injuries. I would much rather play games on a Saturday than midweek though. I can’t say anyone played badly tonight and they all played as a team which was good to see. See you there, LUFC – Marching on Together.